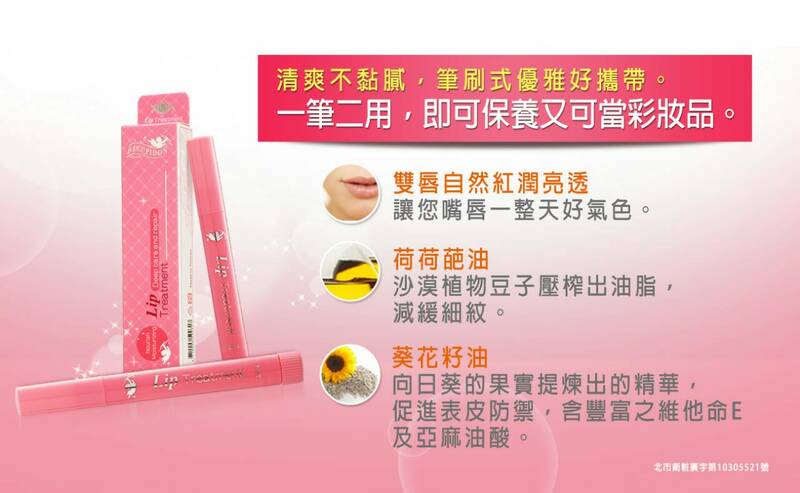 This paraben free Lip Treatment blends Jojoba Oil and Sunflower Oil to improve dull lips and reach dependable moisture. Stickiness free. Brush the Lip Treatment onto your lips anytime to keep them smooth and charming.